Complaints & Complaints! I have been doing that from past few months. 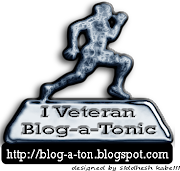 I don’t get time to post blog nor I get time to read other blogs. I promise, make plans and then don’t get sufficient time and have to compromise. Why is this happening to me? Sometimes I think of myself taking the last breath and I think about the desires that I would leave behind in this world bonding me to come back. There are so many things that I want to do. At times I wonder what have kept me from achieving these? Was I so busy that I couldn't do realize what I planned? When I look back, I don’t find any reason or so. We like to kill everything we love..
neway, I have to find a way out this. Have u managed? Nice post, hope you do better than me. It't true...u only we top ourselves to do what we want...and only we can motivate ourself to what we wanted to do..
A trip to Harnai, again.